This mellow loop is a great snowshoe for the whole family with nice forest views. The loops is 2.1 miles so feel free to take your time and soak in the beauty - or if you're feeling more energetic, do a few laps! Spooner Lake is a classic winter destination that can serve as the stomping grounds for a mellow snowshoe or as the gateway for bigger backcountry adventures. It's a popular destination year-round that is especially beautiful when new fallen snow decorates the open meadows and stately pine forests in a winter palette. Trails are well marked, with the 2.1 mile loop around the lake being the one most people come to enjoy. The flat loop trail is a wonderful tromp into the wilderness. 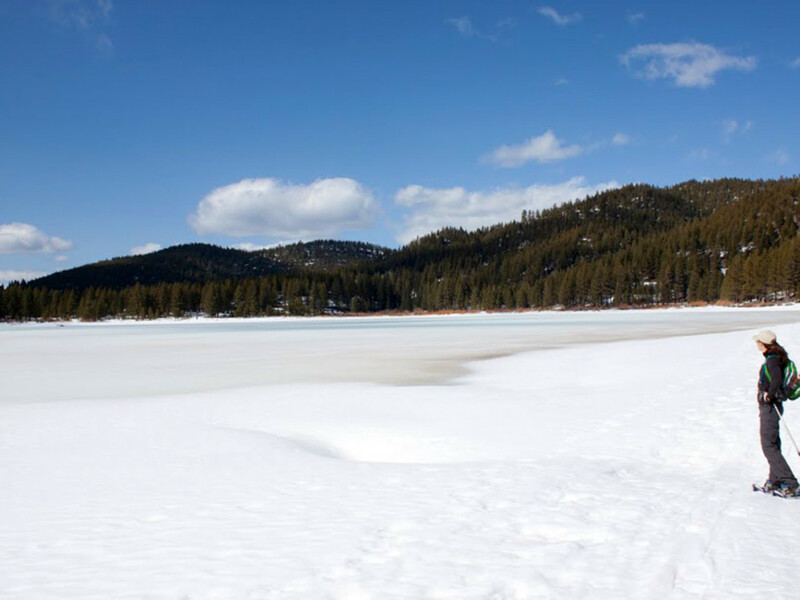 A casual walk around the lake reveals the beauty of the surrounding forest, highlighting the trademark ruggedness along Tahoe's eastern rim. At 2.1 miles, it's a nice place to bring kids or getting in a snow-based workout when you''re short on time. Along the way are benches to take in the views and several informative signs speaking to the natural features of the area. For those looking for a more robust day, a 10 mile out and back to Marlette Lake via North Canyon / Marlette Lake Trail can be done from the same trailhead. Even though it's high mileage, this adventures only gains about 1,000 vertical feet and offers marvelous views of the valley below. Those embarking on this snowshoe should bring backcountry / avalanche gear. 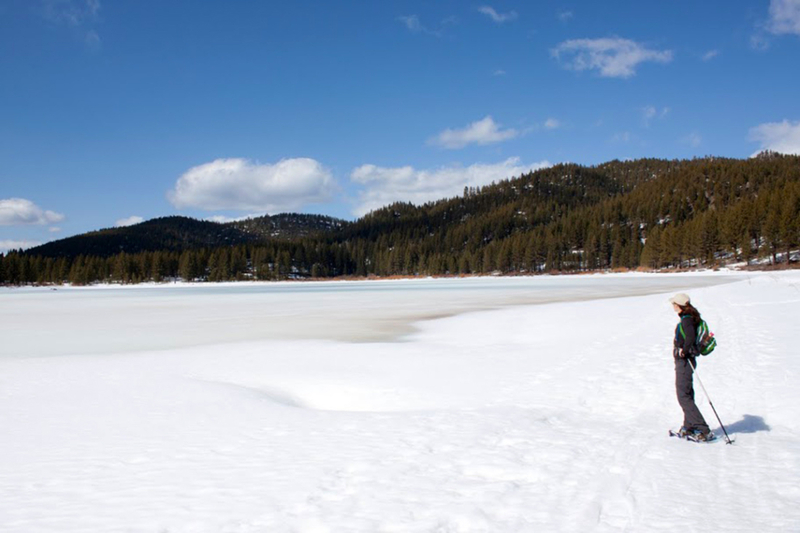 Note that many winter snowshoers often get in a few miles on these trails and turn around just to enjoy the solitude and peace of the alpine forests rather than the full trek to Marlette Lake. Families and those looking for a less intense experience will enjoy the modest loop around the lake. And for those who need to get in more exercise, diving into the wilderness of the 12,000 acre Spooner backcountry will enjoy exploring the trails into the high country -- or simply forging their own paths through untracked powder. The options to make this day as big as you want makes this a good, versatile winter destination.